A structured doctoral degree follows a forward-looking approach, assisting doctoral candidates in various aspects of their doctoral research. Unlike ‘individual doctoral degrees’, structured doctoral degree programmes encourage the social integration of doctoral candidates whilst encouraging them to explore their field in depth. They are provided with transparent support on many levels, are able to make the most of professional development programmes and opportunities to exchange knowledge and can benefit from well thought-out time and project planning. Structured doctoral degrees are offered by the graduate schools and the structured doctoral programmes at FAU. 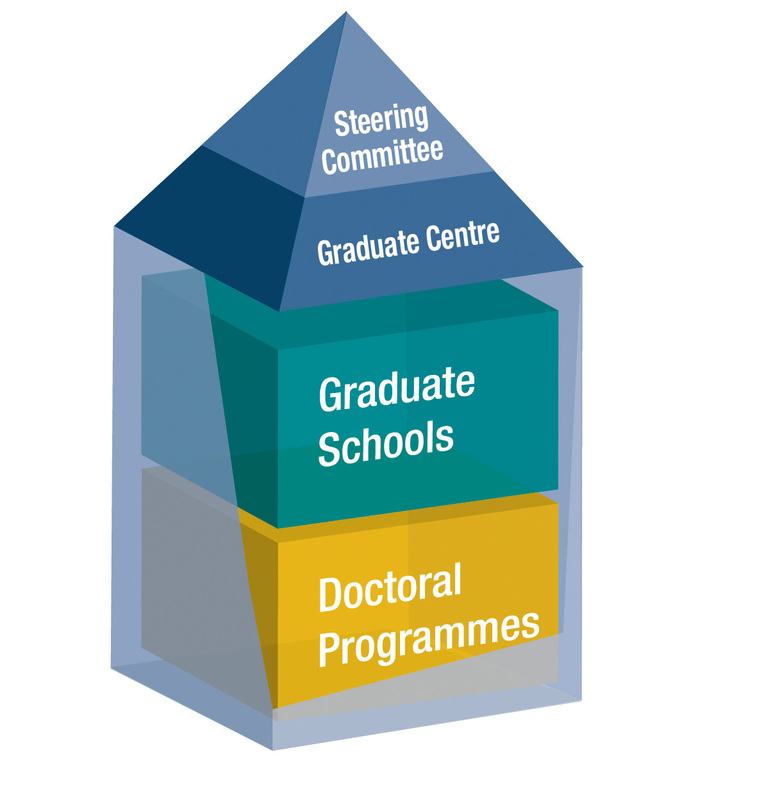 The Graduate Centre coordinates doctoral programmes financed both externally (e.g. by DFG) and internally. In addition to the structured programmes, the Centre provides services to doctoral candidates from all faculties who are pursuing an individual doctoral degree. The FAU Graduate Centre acts across all faculties and subject areas to encourage new talent and functions as an umbrella organisation for the graduate schools and doctoral programmes at FAU that offer structured doctoral degrees. It is the central platform for mediating between all young researchers and their superiors, supervisors and mentors. The Graduate Centre coordinates the overall processes governing doctoral degrees at FAU and ensuring the quality of the General Doctoral Regulations of FAU with the help of the academic steering committee, which includes representatives of the bodies responsible for doctoral degrees. The FAU graduate schools are faculty-specific or interdisciplinary institutions with a broad research focus that offer structured doctoral degrees or a structured doctoral degree programme. Other research training groups or doctoral degree programmes covering the same topics may be assigned to the graduate schools. The graduate schools belong to FAU. A structured doctoral programme is also referred to as a research training group or graduate programme. These programmes set up for a certain subject area generally follow their own curriculum leading to the completion of a doctoral degree and covering subject-specific and interdisciplinary seminars and colloquiums, whilst also focussing on enabling participants to gain soft skills and additional qualifications. In addition, doctoral candidates in these programmes receive intensive support from several academic mentors, the purpose being to enable them to complete their doctoral degrees as planned. Generally, the first step for anyone interested in taking a doctoral degree is to find a suitable supervisor (as is also the case for individual doctoral degrees). If you are interested in participating in one of our doctoral programmes, please apply directly to the persons responsible for the programme. Information on application deadlines and procedures can be found on the relevant programme website.